Accepting the fact that you can’t bear your own children is alone stressful to live a normal life, now how about coping with a failed IVF treatment cycle? Imagine the trauma, the depression, and self-disappointments you have to bear as a woman. However, you are not alone in this, women struggling with infertility and those dealing with IVF dilemmas are given ultimate support by trained and experienced fertility counselors. 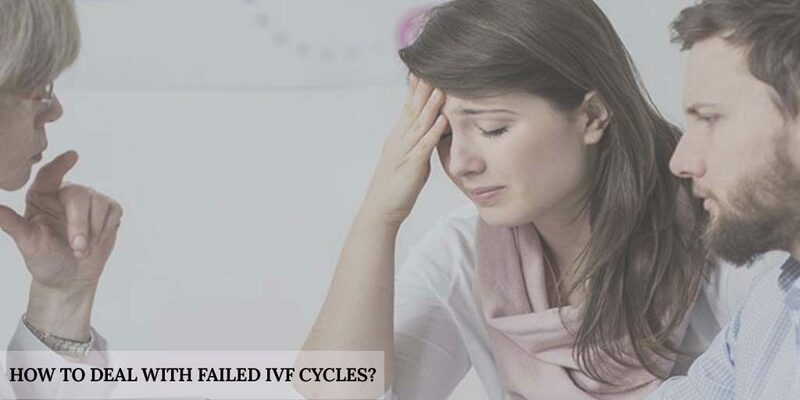 This essay involves various chapters intended to encourage women undergoing IVF treatments and also provide possible solutions to the unsuccessful IVF treatment cycles. So here we go! Much as it is a highly advanced ART practice, IVF has its own drawbacks and one of them is unsuccessful attempts. There are hardly couples who attain pregnancy with a single IVF attempt. A majority have to undergo at least three or more IVF treatment cycles to bear their own children. You may never know when to stop trying, but your fertility doctor may help you out. In most cases, choosing other options like using donor eggs or donor embryos could result in a live birth once you have suffered multiple failed IVF rounds. Evaluating your financial capability before embarking on IVF treatment has been singled as a reliable consideration before treatment. Experiencing 4 failed IVF treatments is enough to select another ART treatment approach in case a patient has limited funds. There are various reasons as to why couples’ IVF treatment rounds result in miscarriage or even fail to implant. Finding the actual cause earlier can help reduce the odds of failure. A number of couples largely depend on fertility experts, forgetting their responsibilities as patients. Missing or postponing appointments, missing your medications, and living an unhealthy lifestyle certainly reduces your chances of conception.